This stunning outdoor sofa has all the style and functionality you need to complete the look of your outdoor space. Featuring a wicker camelback design and dramatically curved arms, this piece looks great from every angle. 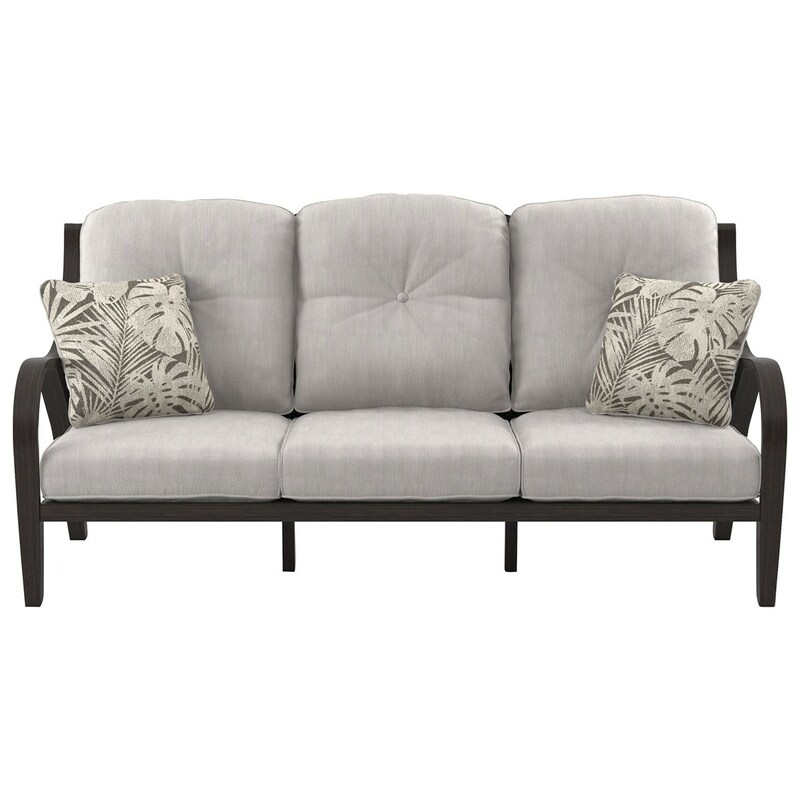 The rust-proof aluminum frame and high performance Nuvella™ fabric of the cushions makes it resistant to all weather conditions - so you can enjoy this piece for years to come. The Marsh Creek Outdoor Sofa with Cushions by Signature Design by Ashley at Miskelly Furniture in the Jackson, Pearl, Madison, Ridgeland, Flowood Mississippi area. Product availability may vary. Contact us for the most current availability on this product. The Marsh Creek collection is a great option if you are looking for Contemporary Outdoor Furniture in the Jackson, Pearl, Madison, Ridgeland, Flowood Mississippi area. Browse other items in the Marsh Creek collection from Miskelly Furniture in the Jackson, Pearl, Madison, Ridgeland, Flowood Mississippi area.